The Law of Attraction Plain and Simple Home-Study Course is unique and not like any other program out there today. It takes everything you ever learned or read about the Law of Attraction and takes it to the next level. This is a tried and proven life-changing program that thousands of people around the globe have experienced with resounding and enormous success. 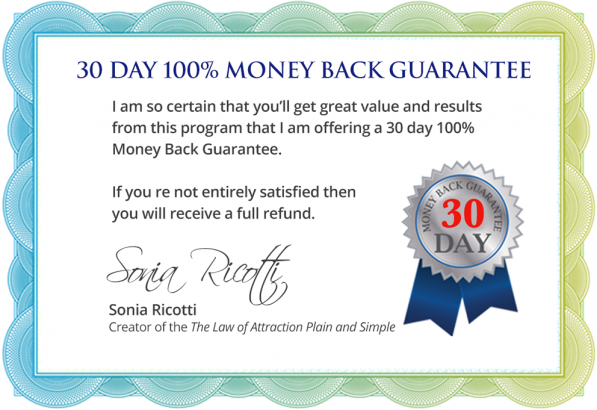 Hi, I’m Sonia Ricotti and I’m a “Bounce Back” expert and #1 bestselling author of 2 books, Unsinkable: How to Bounce Back Quickly When Life Knocks You Down, and, The Law of Attraction Plain and Simple. I have taught hundreds of thousands of people around the world how to turn their lives around quickly and live their greatest lives through my programs, workshops, and books. Although I live a dream life today, it wasn’t always like that for me. In fact, at one point in my life, I was $124,000 in debt, lost my home due to foreclosure, my partner in life was an alcoholic (and the relationship ended in great heartbreak) and I even experienced serious health issues (a serious blood clot)—and it all happened at the same time! I have since turned things around in a BIG and dramatic way – and I did it quickly. I discovered a formula that really works. I have since made it my mission to help people everywhere around the world to turn their lives around in a big way and achieve the success and the life they absolutely love and deserve. I did it…and so can YOU! No more guessing or “hoping” to turn things around … I will tell you exactly what to do and how to do it. What I will share with you in this four part online audio course (with accompanying workbook) will help you reach your goals (whatever they are) faster than you ever thought possible. It happened for me, and I want to pass along the steps that increased my income by over 10 times, allowed me to get to a positive, peaceful, happy, state (yes, this drama queen has left the building! ), and changed my life forever! Most people who are deliberately applying the law of attraction are generating positive energy on a conscious level, but they are sabotaging themselves at the subconscious level. Those who have successfully mastered the law of attraction are generating positive energy on both levels…and this synergy is what will create the massive success that you’re craving — and deserve! It is crucial to get “clear” and get to a place where you are generating positive energy on both a subconscious and conscious level. If you are holding on to negative experiences of the past, you are generating negative energy. If you are confused and unsure of what you want in life, that frustration and confusion is negative. There are countless other examples that could have you generating negative energy without even realizing it. can easily attract your greatest life NOW! This course will help you get mentally “clear” and get you to that ultimate state of mind of being in a place of inner peace and happiness — no matter what the circumstances are in your life! You will be feeling good and generating positive energy on both the conscious and subconscious levels! You will finally be attracting and manifesting all you desire and deserve in life! 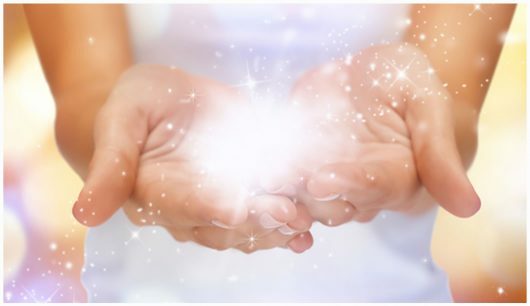 Don’t worry, get ready to release all the negative energy quickly and begin projecting positive energy so you can easily attract your greatest life NOW! your life — but also guide you to achieve all the success and happiness you desire. Get to a serene and positive state of mind (even during tough times) to attract and manifest your dream life. Become very clear of what you want to achieve in life and what legacy you would like to leave behind. Unleash the negative past and get to a renewed clear and positive mental state around what “was”. Feel good now, no matter what the circumstances are in your life. Retrain your mind to gain a new positive outlook around any crisis or negative event that has happened or is happening in your life (i.e. divorce, illness, job loss, foreclosure, financial crisis, etc). And finally, achieve your goals and manifest the dream life you deserve and love. In this amazing program, I will guide you through a series of powerful tools and techniques that can help you not only overcome any adversity you’re experiencing in your life — but also guide you to achieve all the success and happiness you desire. “Thank you, thank you, thank you! I wanted to let you know how much I LOVED your LOA course! What an eye-opener it was. I never realized how much I have been holding on to the past and how it has negatively affected my life! 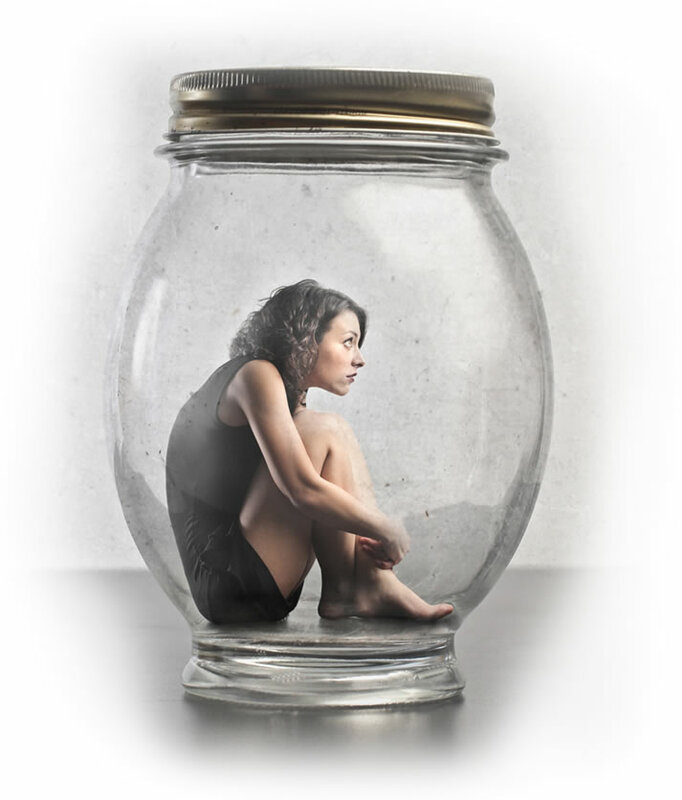 I have “unleashed” my past and am ready now to attract my soulmate and new career! This will be the year! Thank you Sonia for all you do! The last year has been a challenging year for me as I have had to deal with a lot of personal issues (including filing for personal bankruptcy). I read your book a few months ago and loved it, and purchased your latest LOA home-study course as well which has completely transformed my life. I have never felt so free and happy, truly. Amazing things have come into my life since (including a new job I love!). Thank you! 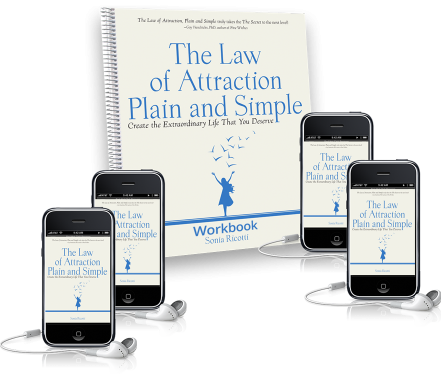 I just finished your online course (The Law of Attraction Plain and Simple) and Oh MY GOD! I feel like a weight has been lifted from my shoulders. I have never felt so free and happy in my life! I feel so renewed! Still unsure if this course is right for you? IMPORTANT: This entire package is completely downloadable and available to you immediately (no waiting for mail delivery!). You can get started right now! 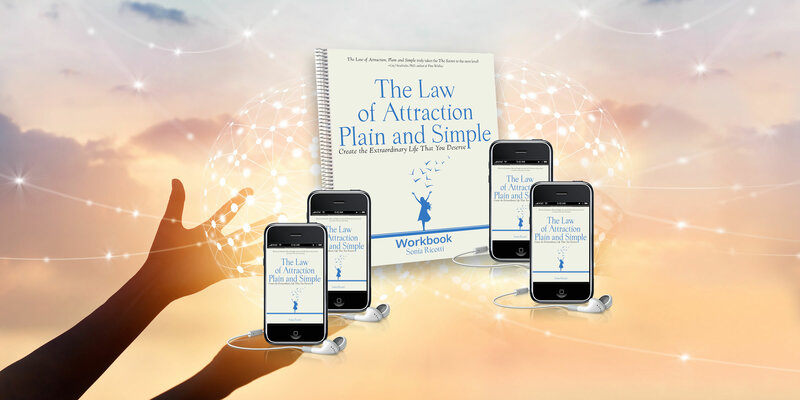 The four modules of The Law of Attraction Plain and Simple Online Home-Study Audio Course and the accompanying workbook are ALL downloadable to your computer.